Windham Weaponry is celebrating the arrival of the Summer months with our Dog Days of Summer promotion. Each week we will feature 7 different items, all at a 20% OFF discount. See www.windhamweaponry.com. Each week will also feature a beloved Windham Weaponry family pet. 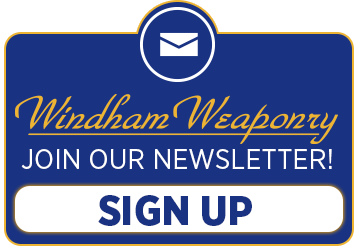 Be sure to check out our Meet the Windham Weaponry Team section in this Newsletter, as this month we are featuring all of the dogs you’ll see in our Dog Days of Summer promotion. Woof! First make sure the rifle is unloaded. Then remove the upper from the lower by pushing out the takedown and pivot pins. Put the lower receiver on an AR15 lower receiver vice block and remove the upper rear stock screw with a flat screwdriver. Remove stock body. Remove buffer and spring by pushing down on buffer retainer and releasing the buffer and spring. Remove both completely from the lower and set aside. Before doing so make sure you put a thumb over the buffer detent to keep it from shooting out of the lower when you turn the buffer tube all the way off. Release the buffer detent and spring slowly and leave them in the lower. Screw the tele stock buffer tube all the way in while holding the buffer retainer down with your thumb. Turn the stock in until it stops against the retainer, then back it off until it holds the retainer in, but isn’t rubbing on it hard. The buffer retainer should move up and down freely when you press on it. Reinstall takedown pin detent spring. Make sure it is square against the tele stock endplate and push the spring in then screw the castle nut up against it. Push the carbine buffer and spring that came with the tele stock assembly into the buffer tube and you are done. To remove a tele stock and install a standard stock assembly you basically just reverse these instructions. The only thing to be mindful of is to back the castle nut off enough to remove the takedown pin detent spring completely before turning the tele stock off so you don’t damage it. How do I obtain a copy of your Operators Manual ? A PDF copy of our Operating and Safety Manual is available on our website. Just go to www.windhamweaponry.com and click on “Media Center” under Misc. you will find the Rifle Operator’s Manual. I am still getting used to the new gun. 25 shots; 23 in center with 2 fliers. A 25 cent piece for comparison. Target shot on June 11. Fired from heavy cement bench with sand bags. Full length resized; bullets set with Redding Precision Seater Die. The two fliers at 10 o’clock and 5 o’clock were my fault; probably flinching from other rifles shooting near me. Overall a good day with the Windham. I just wanted to say how much I love my Windham SRC. This is my first rifle and you have set a very high standard for future purchases. I am looking forward to deer season – its been 30 years since my last hunt. I am even planning a wild boar hunt with my brother in Texas. My SRC is the best father’s day gift ever! Very pleased with the SRC I purchased recently. Very accurate once it was zeroed in. Spoke with customer service recently regarding some parts and very impressed with your support staff. Keep up the great work. You guys feel like family. This CMC Tactical Trigger Group is a completely self-contained, 100% drop-in fire control group upgrade for the AR-15, LR-308 and AR-10 rifles. The double patented Tactical Curved Trigger design yields truly remarkable and unprecedented trigger control, trigger feel and accuracy, while also the retaining the rugged reliability of a Mil-Spec trigger group. Trigger pull is factory pre-set to 3.5 pounds (not user adjustable). Fits most standard Mil-Spec lower receivers with .154″ trigger and hammer pin holes. This patented one piece assembly installs in minutes – simply insert the one piece assembly and install the supplied anti-walk pins. It is contained in a high grade 410 stainless steel housing with full strength music wire springs for fast lock-time and reliable discharge with factory or military ammo. There are no screws or adjustability in this design – factory tuned for a superior trigger pull with minimum take-up and over-travel. Note: not recommended for use with 5.45 x 39. Does not fit Colt AR-15 with sear block. June was another great month for Windham Weaponry Law Enforcement Sales. I was able to attend the National Sheriff’s Associations Convention in Dallas-Fort Worth. The Convention was awesome and the attendance was as well. I had the opportunity to meet so many Deputies and Sheriffs from all over the country that I have done business with over the past 2 ½ years. So a BIG THANK YOU to all of you that stopped by the booth. After attending the convention, I headed to Victoria TX to hunt hogs with officers from South Texas. I would like to send out a very special thanks to Gary and Jimmy for making this possible for the second year in a row. Todd from EoTech and Chip from ATN supplied the thermal optics for the hunt and I would like to thank both of them as well. It was a great 3 days of hog hunting as we were able to bag nearly 60 hogs. Sadly, we didn’t put a dent in the population, but we sure tried. Introducing a New AR Pistol Configuration at a Special Price. 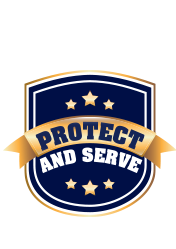 From July 16th to August 11th I’m going to be offering the RP11SFS-7 at a special pricing for active and retired law enforcement and military. Please contact me for pricing on this new pistol configuration. To bring attention to our “Dog Days of Summer” Promotion where we’re featuring great deals every week through the end of August, we thought we’d give you “previews of coming attractions”. These pals will be featured on our website, so check www.windhamweaponry.com every week to see who’s barking about the great deals! Dogs play such an integral part in everyones’s lives, and that’s no different at Windham Weaponry. At the factory every day, you’ll see a number of “dogs in residence”, and their canine compatibility keeps things enjoyable for all.